Toronto to Terni: La Dolce Vita Series! 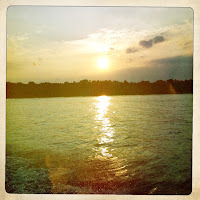 Last year, when I was researching my move to Italy, I stumbled across a beautifully written blog called: Ciao Christy. It's about a young American woman who followed her dreams, sold all her things, packed up and moved to Florence, Italy. You can imagine how inspired I was! Through her blog, I found many others that I have been following since then. It was so encouraging to see so many young, independent women follow their hearts and dreams. 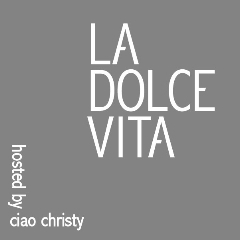 Thanks to Christine, she has started a new series called La Dolce Vita where all these women, including myself, write weekly about our sweet lives -la dolce vita. Please click on the icon below to read about these fabulous women and their journies moving to and living in Italia! I still have another 7 weeks until my departure to Italia, so while I can't yet write about my dolce vita in Italia, I still appreciate and love my life in Toronto. Lately, I've been so stressed being in the final stages of planning my move. From applying for a visa, to learning Italian, to making packing lists, I was getting a little bit overwhelmed. However yesterday, I was lucky enough to be invited by my sister's friend to her boyfriend's cottage. Living in the city is great, however sometimes it's nice to get a break. The traffic, the smog and all the noise....it can be exhausting. Torontonians love getting out of the city every weekend in the summers and we are lucky enough to have cottage country be about a short 2 hour drive north. While I'm not your typical "country gal" (ie. I really don't like creepy, crawly insects and using a toilet that is actually just a hole in the ground), I do appreciate and love the calmness and tranquility of being up north. Being surrounded by family & friends, with nothing but a beautiful landscape to look at, can really remind you of what is truly important in life. Good Luck with your forthcoming move.